COPYRIGHT: PLEASE READ THE FOLLOWING PARAGRAPH BEFORE CONTINUING! All photos in this Blogspot and those accessed in Google Images via the links in each report are my Copyright and may be saved for personal use only. They may not be republished elsewhere without the written permission of the Copyright holder. 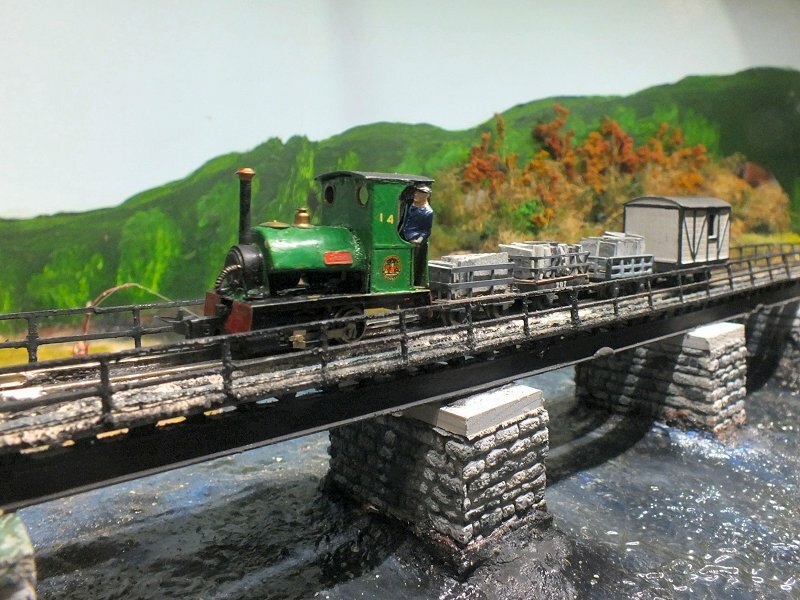 Hello and welcome to my twice reinstated and updated photo reports of visits to narrow gauge model railway layouts and events! Following the sudden and untimely cessation of Fotopic in March 2011 and with it the loss of my photo galleries, I started this blog in order to try to keep my "Roving Reports" available to those who enjoy viewing them. 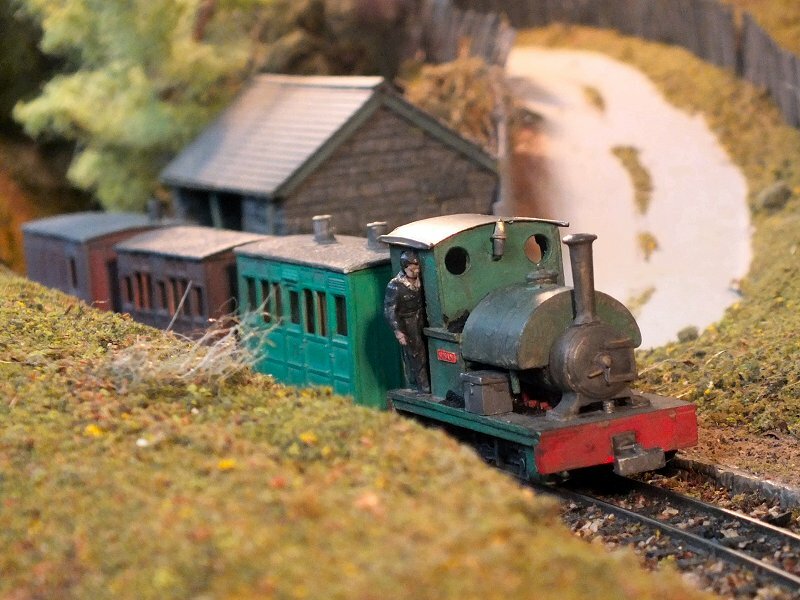 I have linked this blogsite to the old galleries which I originally rebuilt and posted in albums in Picasaweb Once all the old reports had been rebuilt, I have continued to add completely new ones to cover my visits to events from April 2011 onwards. In August 2016 Google very kindly and arbitrarily blocked access to Picasaweb in order to force everyone to use their "much better" Google Images, so I had to do the whole exercise again. Thanks! Google Images is certainly much easier to view, but to upload to - well try it yourself, I have made my own judgement and it isn't a very complimentary one, so the long term future of this blog remains in doubt. Meanwhile......Because of the way this Blogspot works, the most recent postings appear first and the oldest ones last. Each report contains a link to the Google Images photo album plus captions for that report. The link will take you to the front page of the Google Images Album for this report. Left click on the first photo and it will open into a manually operated slideshow. A panel should open alongside the image on the right showing the number of the photo and the caption text. If it does not appear, click on the small white disk top right of the photo panel and it will open. On albums created before August 2016 which were created originally in Picasaweb, these are now in the Google Image Archive and the caption panel has to be opened manually for each image. I apologise for this, blame Google! More recent albums created in Google Images keep the panel open. in both cases, move forward or backwards by clicking the right or left arrows on your keyboard. When you have finished viewing, click the back arrow showing top left of the photo panel and this will take you back to the album opening page. Close it in the normal way by clicking on the "X" top right or click the return arrow top left of the Windows screen to return to the blog, depending on which browser you use. In Google Chrome you should click on the X and then select the tab for the blog from the windows tabs, in Internet explorer, click on the return arrow top left of the window to return to the blog. I'm afraid I don't know how other browsers such as Firefox vary in their operation. Once back in the blog, any report can be accessed sequentially from the blog by scrolling downwards and if required, click on the "older posts" link at the bottom of the list, or simply go to the Blog Archive on the right of the window and select any report by simply clicking on the title. 3rd Saturday in February, easterly wind and chill factor makes it seem freezing, but the sun is shining brightly – must be NG South West! 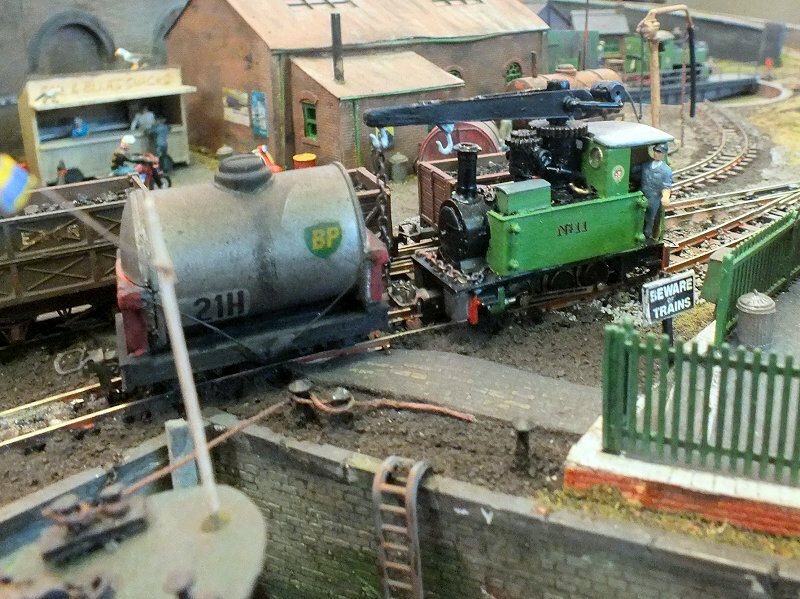 The annual Small & Delightful “do” at Shepton Mallet is a reminder that winter is nearly over and it is time for a big get together, enjoy some super modelling, enjoy the friendly company of like-minded boys and girls and eat lots of cake! Once again, Howard Martin and his team of “jolly helpers” put turkey farming, tractors and cider drinking to one side and pulled together to provide a memorable day out in Somerset for the nearly 600 paying visitors who joined the 100 or so already inside who were participating one way or another. I very much enjoyed the day, I always do, and everyone I spoke to shared the same opinion. It was, in short, a fantastic, friendly, informal and hugely inspiring experience. For the 8th Beds & Bucks NG Modellers open day at Barton Le Clay, just north of Luton, Mark Howe and his colleagues pulled out all the stops to create a real mega-fest of narrow gauge modelling with a total of no less than 18 layouts large and small plus another 4 in a pizza layout display. 22 layouts in total, a good representation from specialist traders, the 009 Society members sales and of course, splendid refreshments provided by the 4 very hard working ladies who persevered cheerfully throughout the day keeping everyone fed and watered. 5 stars plus golden mustard spoon for the catering! A splendid turnout of some 185 paying visitors joined the 50 or so who were participating or posing and once again, top grade congratulations to the Beds and Bucks team for laying on what everyone agreed was their best one yet! Another start to another year as Brian Ellsmore and myself splashed our way to the village of Ilton in Somerset with a van full of the 009 Society sales stock for the SWOONS (South West group 009 Society) and their 7th Members Open Day. Is it a year since the last one? Doesn’t time fly! A splendid way to kick the new year into life despite the weather as around 100 enthusiasts converged on this very wet rural location, some travelling considerable distances to be there. Matt and Maria Cicquel provided 5 star beverages and food including some splendid hot “oggies” whilst everyone enjoyed the usual informal, relaxed and friendly gathering amidst some superb layouts and models. All who attended agreed a very big “well done” to the SWOONS team for another truly excellent day.